Everyone in this country should have a winter coat. But not everyone does …yet. Together, we will make this winter safer and warmer for hundreds of our neighbors in homes, shelters, and on the street. So this November, head to the closet, the department or thrift store, and share the warmth. While a coat is preferred, we can accept money, and will buy coats with it. 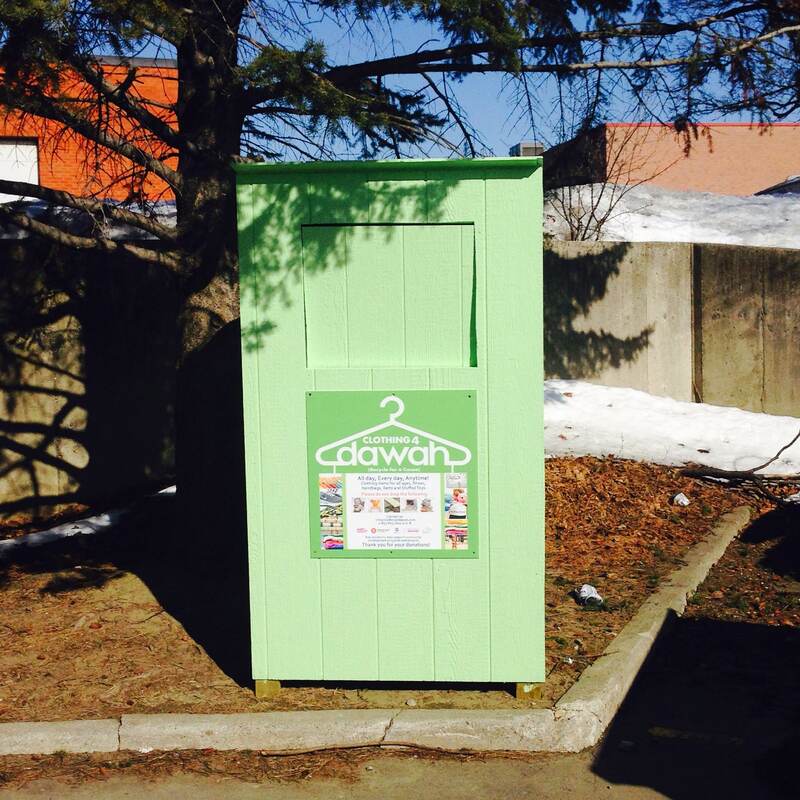 – Place cash in the donation boxes (main campus); write “Coat Drive” on the envelope. Nearly 1.2 million Canadian kids don’t have a good winter coat, and Toronto children are the poorest in the nation. And that’s not counting all the parents, who are even more likely to go cold, as they will often give to their children, before themselves. Toronto alone has over five thousand homeless individuals. While most reside in shelters, hundreds live on the street, their lives continuously threatened by our frigid winters with freezing temperatures on more than 100 days from October to April. 2nd Annual Coat Drive 2014 is Here! 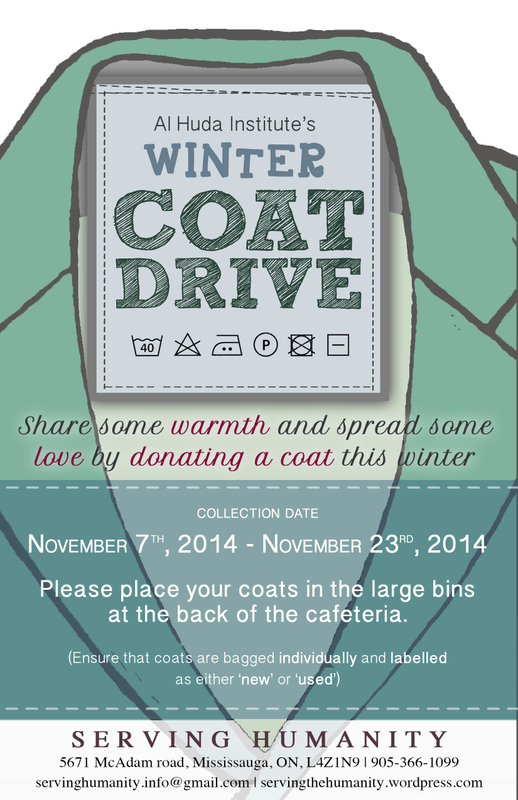 On November 7th, we will be starting our second annual Coat Drive. Please donate new or gently used coats for all ages. 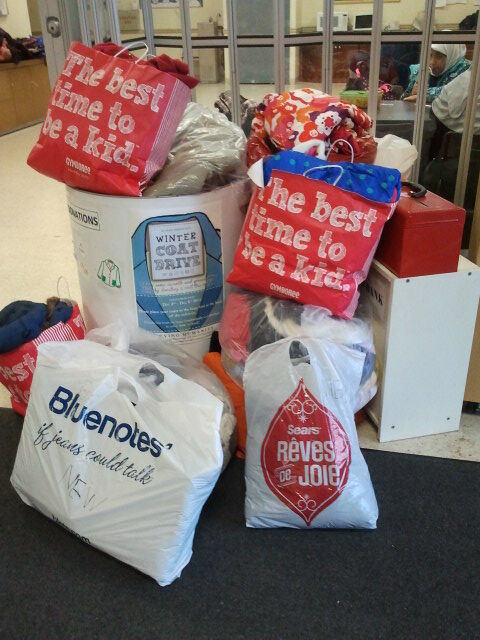 All donations will help local families keep warm this winter. Serving Humanity Coat Drive; a huge success! Late November 2013, Serving Humanity launched a new initiative where we collected coats that were gently used or brand new. The idea that propelled our coat drive was if you have one coat that you are not using; donate it for someone who will find difficulty in staying warm this winter. 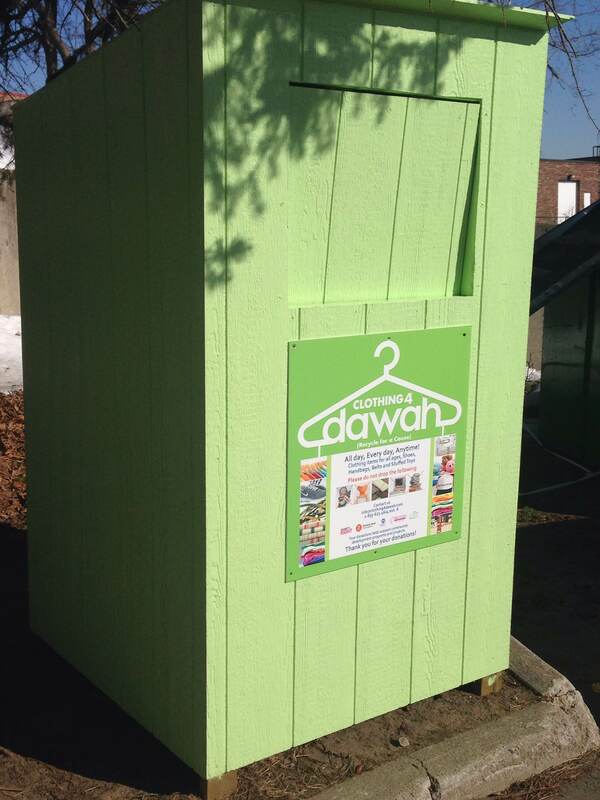 We worked with Mercy Mission, who started collecting used clothes for da’wah. Since our coat drive was a brand new initiative, we were not sure of the response we would receive. The project included people of all ages and coats of many sizes. Alhamdullilah, the response was amazing to our winter coat drive – donations poured into our institute. We collected a total of 330 coats in new and used condition. 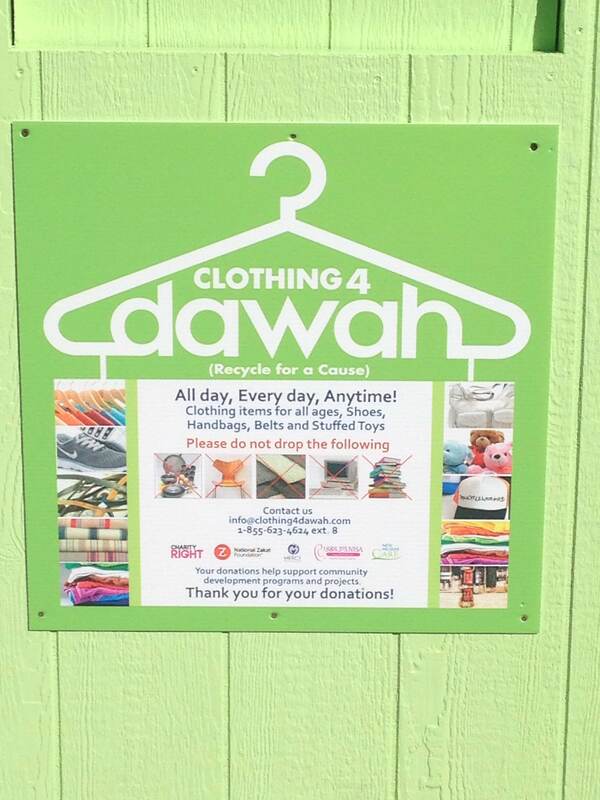 A total of 150lbs of clothing was collected for da’wah. In the midst of our winter coat drive, Muslim Welfare Centre contacted us requesting winter items. 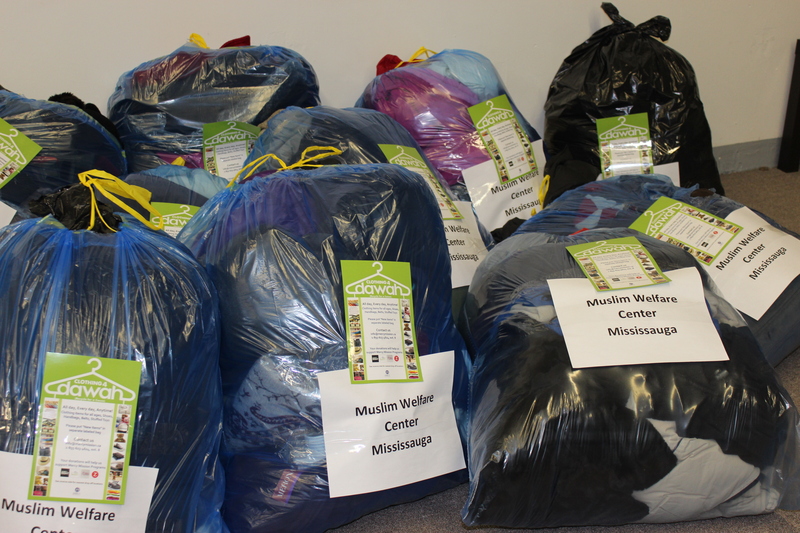 Mercy Mission helped Muslim Welfare Centre with clothes that Al Huda Institute collected. A total of 140 items were donated to Muslim Welfare Centre. Due to the enormous success of our winter coat drive, we plan to continue this project in the future, insha’Allah.